You’ll find several Gala Bingo bonus offers that are definitely worth checking out. Once you’ve signed up and claimed the welcome offer, you can try out free bingo (that even offers cash prizes) and if that’s not all, every day you can claim a free spin on the Win-a-Spin slot. Overall the bonuses available at Gala Bingo are of good value to both newbies and regular players alike. 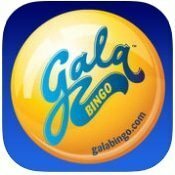 What Is The Available Gala Bingo Bonus? The Gala Bingo welcome offer rewards new players with extra bingo bonus money they can use to make bingo ticket purchases. Once you’ve your first deposit of at least £10 and have spent at least £10 on bingo tickets, you’ll receive a free £30 to play with. This bonus money can only be used on bingo games and not on any of the other games available at Gala Bingo. As part of the welcome offer, newbies also get to play for free in a special newbie bingo room. You can only play in this bingo room in the first seven days after you’ve signed up. It’s open daily from 12-2pm and again from 6-8pm, with 12 games taking place every hour and £25 in bingo bonuses available to win in every game. The Gala Bingo free bingo promotion allows players to take part in a free game of bingo every week. Even though the game is free to enter, players can still win cash prizes. The higher the player’s loyalty level, the bigger the cash prize they can win. For Chilled, Cheery, Chirpy and Cheeky players, free bingo games take place from 7-8pm. Chilled players have free bingo on Mondays with a prize pool of £100. For Cheery players, there’s a prize pool of £200 and the free bingo takes place on Tuesdays. Chirpy players enjoy free bingo on Wednesdays and have a prize pool of £300. For Cheeky players, there’s a prize pool of £400 and the free bingo game takes place on Thursdays. For Chipper players, the free bingo game takes place every Sunday at 7 pm and there’s a prize pool of £500. Chuffed players have a prize pool of £1,000 for their free bingo game, which takes place on Saturdays at 5 pm. This promotion is available every day and rewards players who spend money on bingo tickets or slots. Take part in this promotion and you’ll receive a free spin on the Win-a-Spin slot. Those who take part in this promotion are guaranteed a Gala Gold Slot bonus of between 20p and £50; this bonus can be used on the following five slots: Big Banker, Cashtro’s Voyage, Firestar, Magician Trick Picks and Super Gold Seven. Any bonus money you win on the Win-a-Spin slot can only be used on the five slots mentioned above. At first, it seems like there aren’t any contact details available at the Gala Bingo website. However, they are in fact available, they’re just a bit harder to find than they should be. Gala Bingo has a Help Centre with a number of pre-set questions and answers available. You can sift through these by choosing from two lots of categories. Once you’ve done this, a number of questions and answers will appear. If none of them are helpful to you, simply click No beneath Did These Answers Help You? and only then will link to contact methods appear. There’s a phone number and email address provided; live chat is also available. No opening hours for these contact methods are listed, nor are response times for any of them.